Try delicious craft-brewed beer and food in a comfortable Edwards restaurant. Experience the Craft Brewery scene in the Vail Valley. 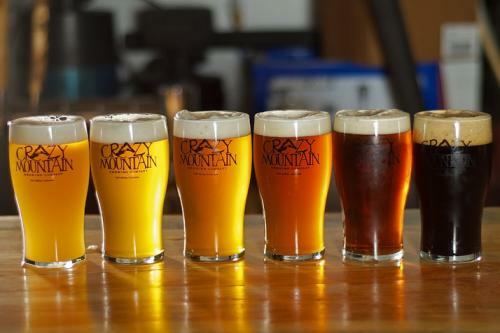 Crazy Mountain Brewing Company - the county's only production brewery - has a tasting room open in Edwards. There you can sample a wide variety of their beers, take a guided tour, or just relax over a pint. Feel free to bring in food and enjoy it there. Crazy Mountain's tasting room features furniture made completely from local beetle kill wood which lends a distinctive Colorado feel to the ambiance. The tasting room also offers live music, beer pairing dinners, and a wide variety of special events. 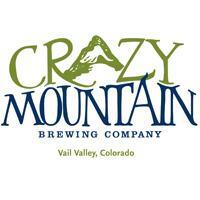 Come check out the scene at Crazy Mountain Brewing Company for a one-of-a-kind beer experience. Open 7 days a week from 11am to 7pm.